The Untitled Han Solo prequel movie recently began principal photography, which means that it’s “go time” for Alden Ehrenreich to wear the vest and man-up as the new Han Solo. Of course, he did have some help from the original, as we all discovered last month, when he was spotted having lunch with Harrison Ford. We had a very nice lunch and we talked for a very long time and it was very easy. He had questions about [Lando]. I guess he was doing what normal actors do, they just want to find out what direction they want to take so they gather their information. So, we just sat and talked and I didn’t want to impose on anything he wanted to do, he’s got his own ideas, I would imagine. I know he has his own ideas. He’s a very talented young man. 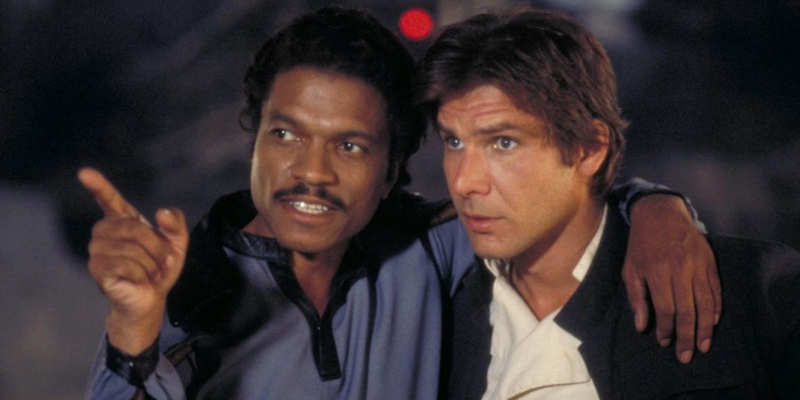 Of course, when it comes to being smooth, Williams joked that no one can compare with his version of Lando. The Untitled Han Solo movie is being directed by Phil Lord and Chris Miller from a script written by Lawrence Kasdan and Jon Kasdan. The movie is slated for release in 2018.